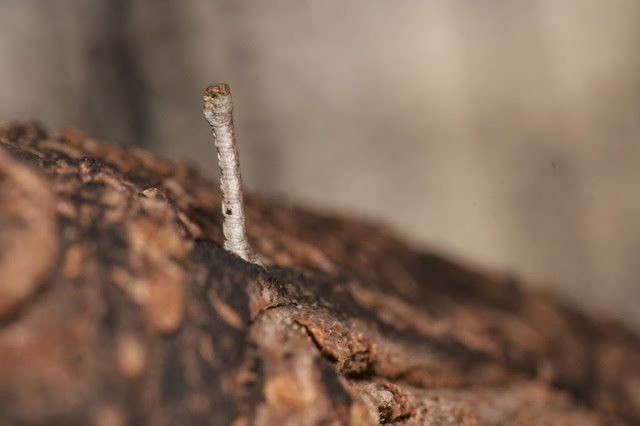 ... certain inchworms can be found overwintering right out in the open on branches and twigs... exposed to the harsh winter weather. 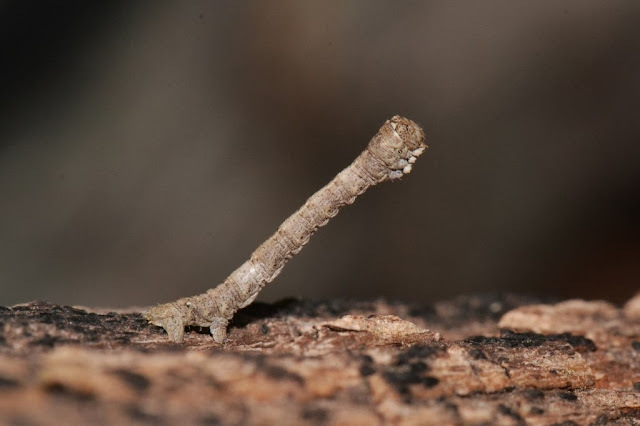 Apparently one of these inchworm's survival strategies is to try to look like a broken-off twig in concert with their excellent camouflage.. I found several of these winter weather-braving caterpillars, mostly on Birch twigs, in a small patch of woods near the cabin. Imagine the many inchworm (geometrid caterpillars) out there on the twigs braving the wind and the bitter cold... perhaps covered in ice or buried in the snow. Now as you picture these twig-clinging, geometrid caterpillars populating the seemingly otherwise bare tree branches, realize that these caterpillars are out there as winter food for the Kinglets. Click here to see Part 1... a post about us watching winter crane flies as they danced in the sunlight. 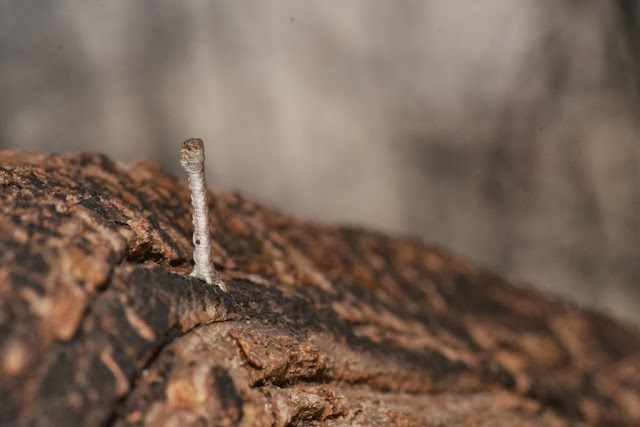 Click for Part 3... a post about how Tuliptree Scale insect crawlers overwinter. I am amazed Dana. No idea this happened. More for me to look for in my wood. 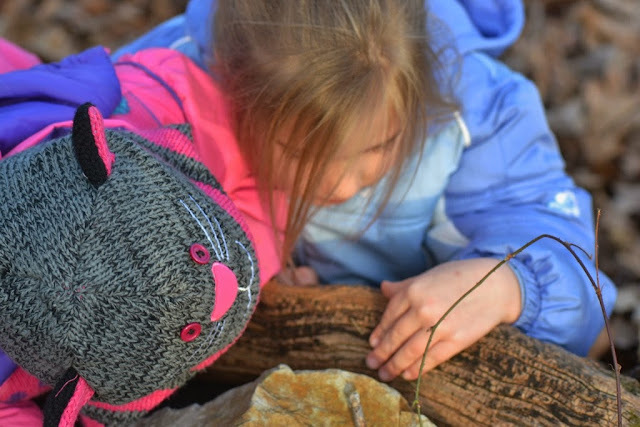 Try looking on birch, beech, or maple twigs. Better yet, watch a flock of foraging kinglets and try to find what they are eating.